You can bite into this dreamy Gluten-Free Orange Cupcake in less than an hour. 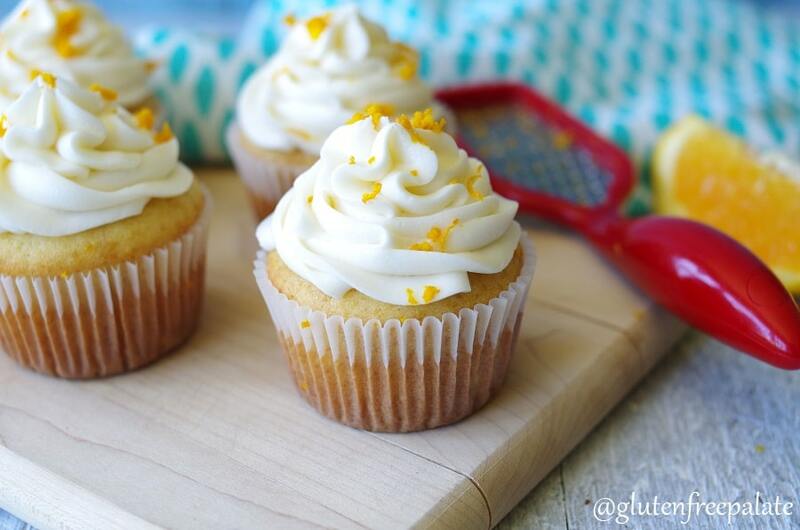 There are only nine ingredients in this tender, citrus infused cupcake. It’s summer!!! And my creative baking side is in full force as we enter into the hottest months of the year. Each week I am working on new recipes and developing new ideas for baked goods that my family can enjoy (and that you can enjoy). 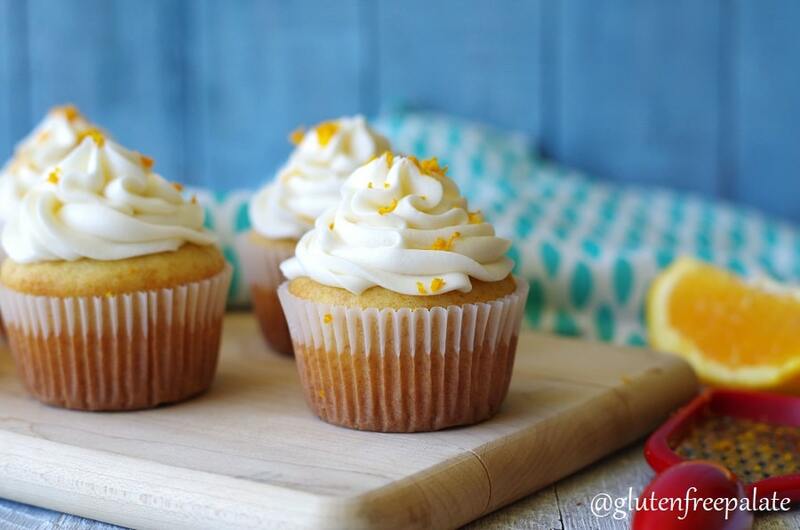 Although I prefer not to turn on the oven during the summer months, I couldn’t help but make these Gluten-Free Orange Cupcakes. I love making cupcakes, and what better excuse to make cupcakes than my birthday? I don’t have a favorite kind of cake – all cake is my favorite! 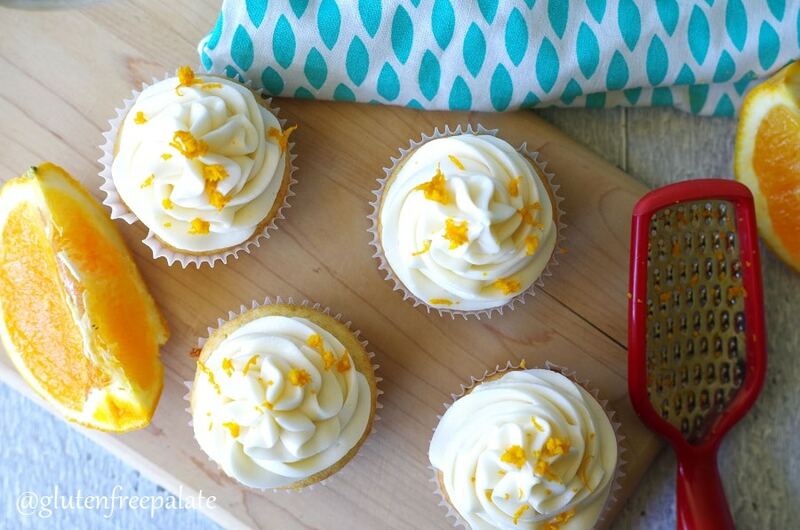 I love everything from chocolate, vanilla, and lemon to these gluten-free orange cupcakes. Because oranges are in season, I decided to whip up a batch of these gluten-free orange cupcakes to help me celebrate my big day. It’s not a milestone birthday or anything like that, but I do like to have a reason to eat cupcakes. This recipe makes 12 amazing cupcakes. If you want to make more, simply double the batch. I haven’t tried making this recipe into cake yet but when I do, I’ll update the instructions below. These cupcakes are extremely easy to make. 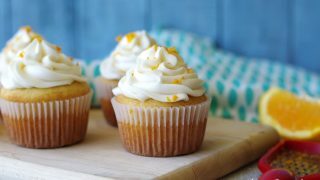 In less than 20 minutes of prep time and under 30 minutes to bake you will have delicious gluten-free, dairy-free, orange cupcakes. They have a light citrus flavor. The longer they sit before eating, the stronger the citrus flavor. 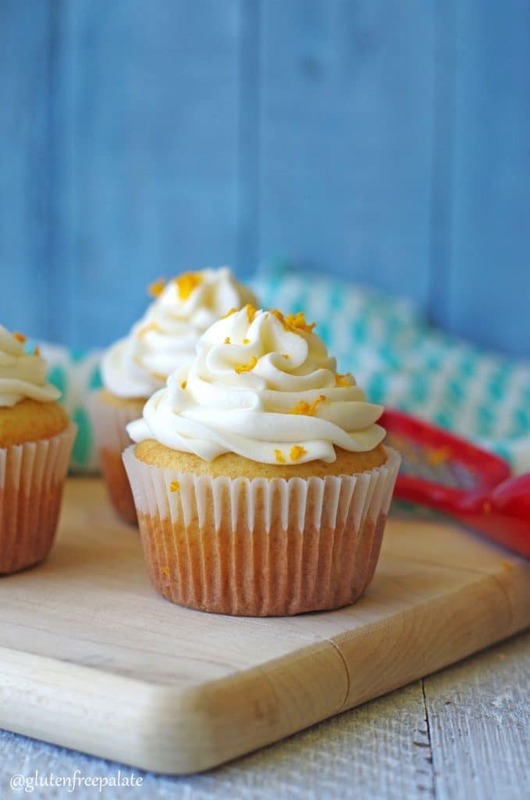 Orange zest has natural oils in it, that give these cupcakes their flavor, and just like when you bake with lemon, the flavor gets stronger with time. 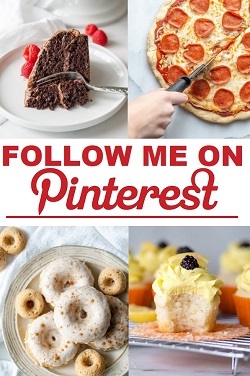 Looking for other fun cupcakes? You might like my Gluten-Free Lemon Cupcakes or my Gluten-Free Raspberry Lime Mojito Cupcakes. You can bite into this dreamy Gluten-Free Orange Cupcake in less than an hour. Preheat oven to 350°F (180°C). Line cupcake pan with paper liners; set aside. In a medium mixing bowl, whisk flour and baking powder; set aside. In a separate large mixing bowl, combine oil and sugar. Add eggs one at a time, beating between each egg. Stir in vanilla extract, orange extract, and orange zest. Add the flour mixture and dairy-free milk alternately to the wet ingredients and mix just until combined. Don’t over mix! Bake for 23-25 minutes until a toothpick comes out clean. For the frosting - beat butter until creamy. Add orange extract and mix till combined. Beat in 1 cup of powdered sugar at a time, alternating with 1 tablespoon of dairy-free milk. Add more or less milk for desired consistency. I’ve been looking for a good orange cupcake recipe for Ryze! 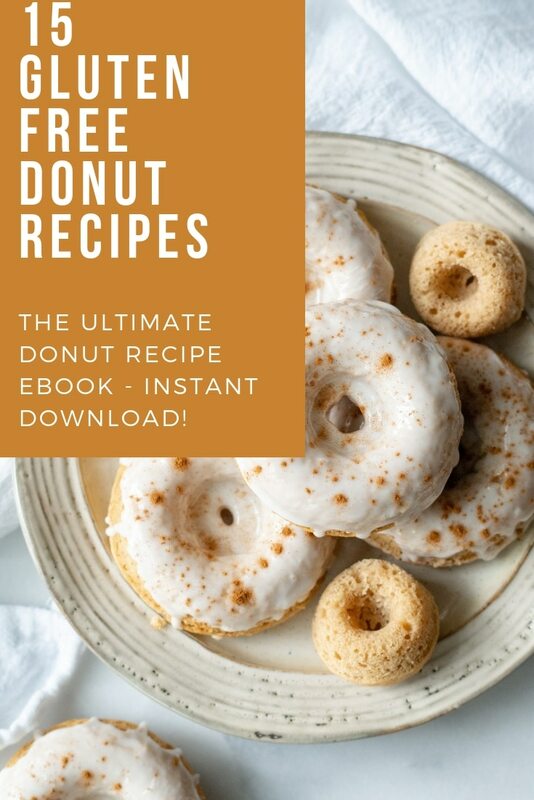 I was getting ready to make this, but I want to be sure about the frosting-what is the second mentioned butter for( 1/2 cup butter, then 3-4tbs butter)? Do I use it all at once for the frosting? Thank you! That’s suppose to say 2-3 tablespoons of dairy-free milk. Thank you for the catch! I’ve updated it.